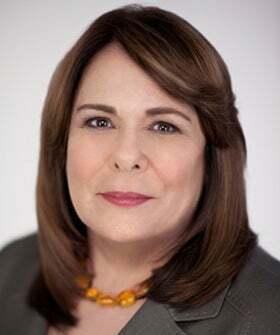 Less than a week after Martha Raddatz’s star turn as the Vice Presidential Debate moderator, CNN’s Candy Crowley is set to be the first female moderator of a presidential debate since 1992. Pretty awesome, right? Mostly, yes. But, there’s only one problem: The campaigns don’t want someone to take control, ask important questions and keep the candidates on track. They want a moderator who will be seen but not heard. Because tonight's debate is in a “town hall” format, the audience members get to ask the questions. And when the Obama and Romney campaigns agreed to a set of rules for this debate, they specifically stated that the moderator will not be allowed to rephrase questions, open new topics, ask follow-up questions, or comment on the questions asked or answers given, according to TIME magazine, which obtained the memo. So…tell us again why they need a human moderator? If all they’re looking for is time-limit enforcement and a way to acknowledge audience questions, they could have just gone with one of those timers from “Catch Phrase” and a microphone stand, no? Of course, no one asked Crowley if she agreed to these ridiculous terms. And, since she’s not exactly a shrinking violet, it looks like she may not stick to them. “I’m not a fly on the wall,” Crowley told Politico. “I’m going to react organically to what’s happening.” She also told CNN that the opportunity is a “career highlight,” and indicated she may play a slightly more active role than the campaigns are anticipating: “Once the table is kind of set by the town hall questioner, there is then time for me to say, ‘Hey, wait a second, what about X, Y, Z?’” The whole situation is all the more frustrating because the last female presidential debate moderator, Carole Simpson, also got stuck with the “town hall” debate. She told the Huffington Post her role mainly consisted of walking around with a microphone, and she didn’t even have control over the questions that were asked. While we get that the purpose of a town hall-style debate is to let undecided voters ask questions, we hope Crowley will — and will be allowed to — actually act as a moderator tonight. Fingers crossed.